Don't know how to create a CSV file? That's ok, read this article for help in creating a comma-separated-values file. The very first row of your CSV file will need to be a header. The header is used to tell us what is in each column. See screenshot below for an example. 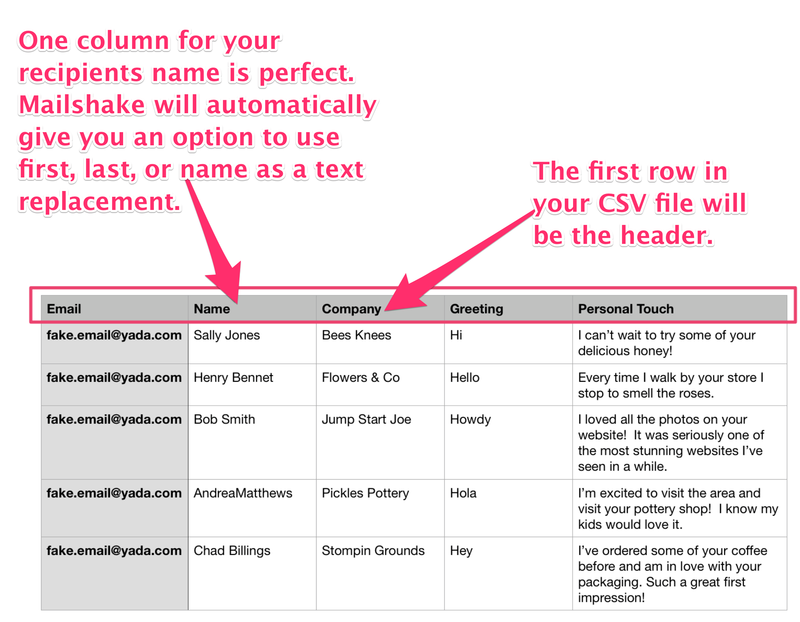 Your CSV file will need to have a header row that tells Mailshake what is in each column. If your EMAIL column is missing any emails you'll want to delete those rows.